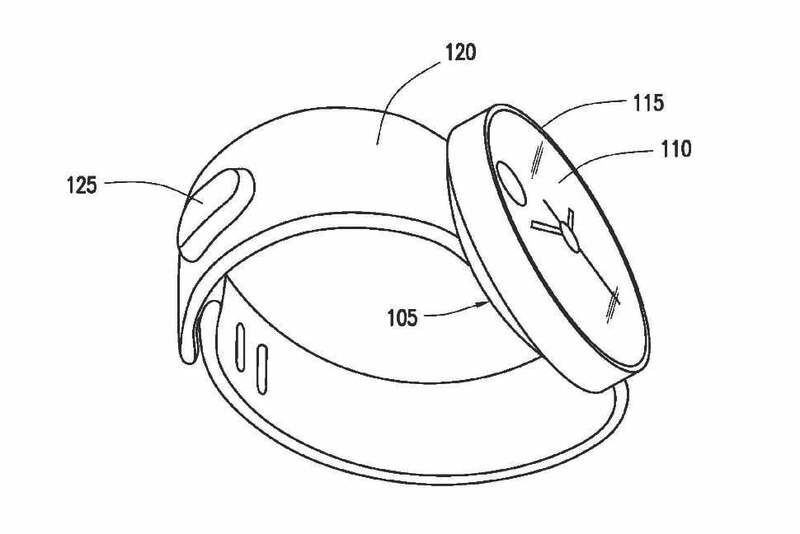 Samsung has filed a series of new patents which could reveal plans for a Moto 360-challenging smartwatch, complete with a circular face. 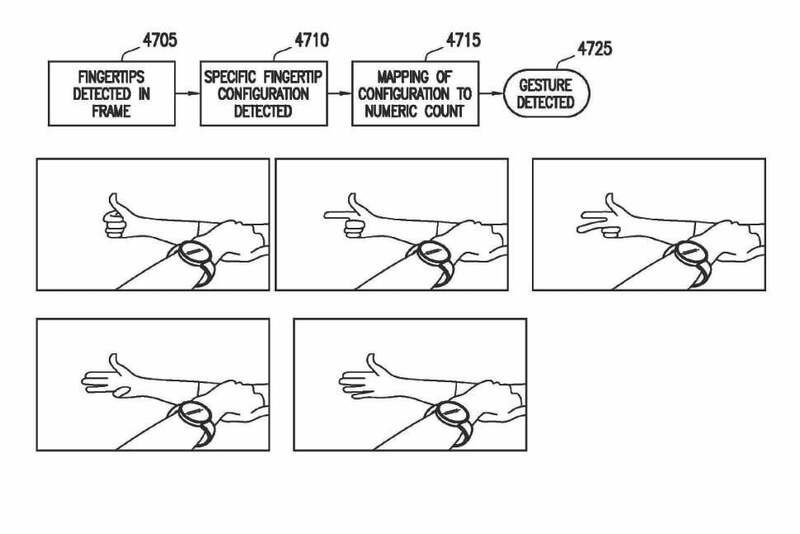 The patents are surprisingly detailed, providing not only a look at the device’s interface, but also listing an interesting gesture control system. The watch’s round face can be attached to a wrist strap as usual, but there’s also a hint the face will be detachable, and able to be worn as a necklace, on a keychain, or on your arm, where it could presumably function mainly as a fitness tracker. Samsung already produces a range of smartwatch models, introduced during Mobile World Congress this year, which have square faces and use the Tizen operating system. Although it’s not mentioned in the patents, the mysterious round Samsung watch could be the firm’s first attempt at one running Google’s Android Wear software. 1. The watch bezel could act as a jog dial for easier navigation. 2. Samsung’s image recognition system. 3. 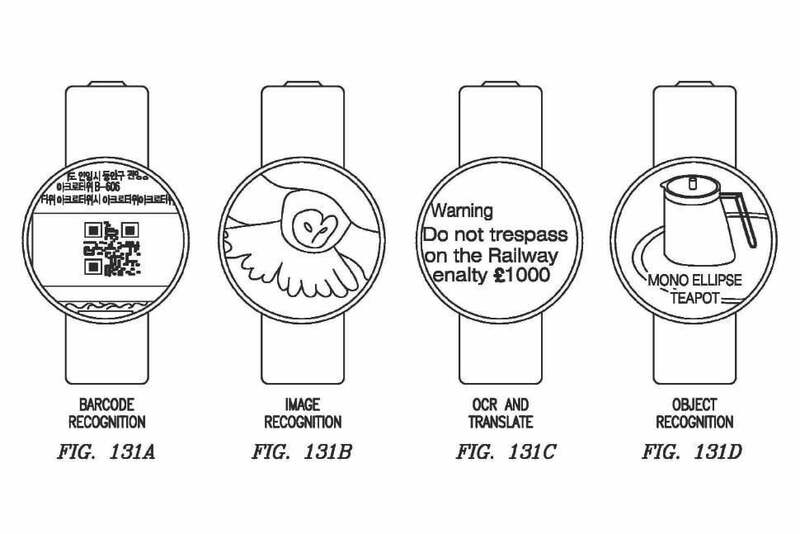 Samsung’s patent for a Moto 360 challenger. While the design is exciting, the control system Samsung has patented is even more so. Digging through the patents, it looks like Samsung will utilize the round bezel as a way to navigate through menus and options. Several drawings show a hand twisting the watch face left or right, an easier and more intuitive system than prodding at tiny on-screen buttons. Recently, the Span concept smartwatch with an incorporated jog dial, and a prototype model with a tilting, twisting screen highlighted how effective this control method could be on a wrist-worn device. Gesture controls are also on hand (sorry) to make the watch easier to control. 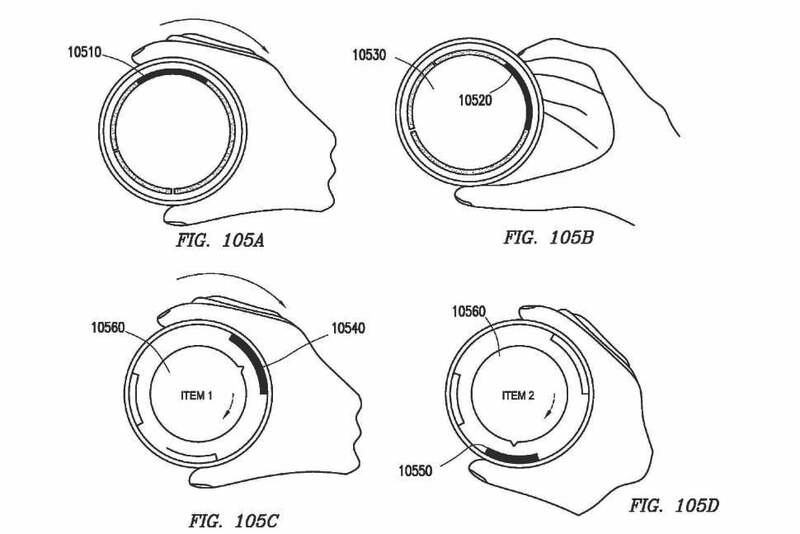 By using a built-in camera, the patents reveal certain features could be activated by showing the lens either a number of fingers, or by making certain shapes. The international “OK” symbol is used as an example, rather than a cute little bunny. Other hand-based gestures shown include a thumbs up, an “air swipe” past the lens, and even a pointing gesture. 1. Using the camera, the watch could be controlled with hand movements. 2. 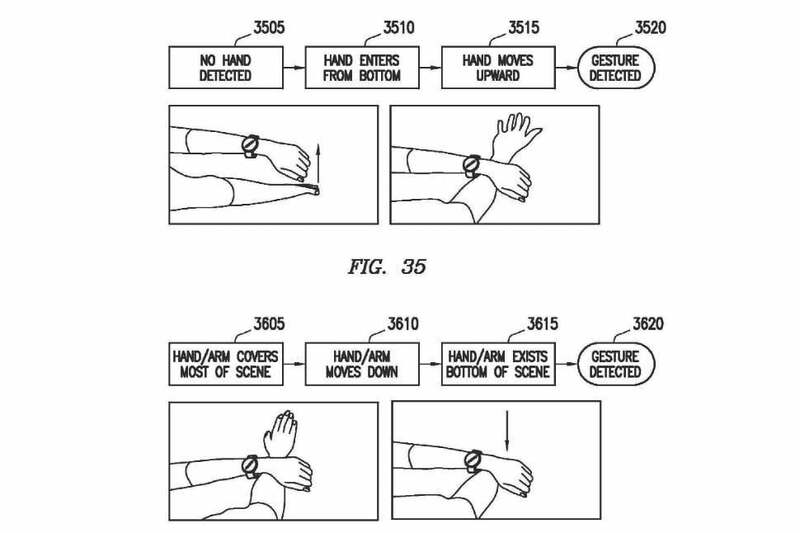 Various gestures, such as a wave of the hand, could operate the watch. 3. 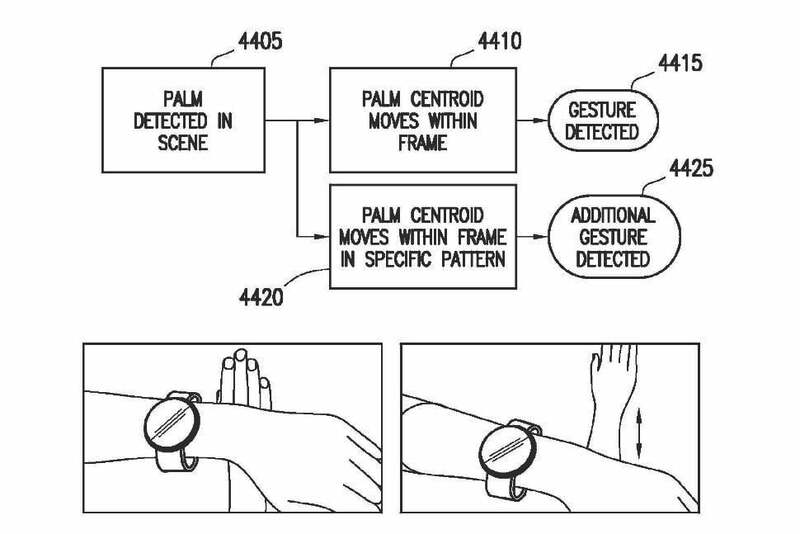 Holding up a number of fingers could activate features on Samsung’s watch. The latter could be related to object recognition, which is also included in the patent. Again, it uses the watch’s camera to view images, objects, and barcodes. A Word Lens-style translation feature should come in handy for travelers. Finally, Samsung also intends to make its watch a universal remote control, where the twisting bezel could switch channels or adjust the volume. An infrared blaster will likely be fitted for this to work. At the moment, all we have to go on is a set of patents, which may or may not relate to a product being worked on by Samsung. However, we doubt it’ll be keen to let Motorola dominate the world of round smartwatches, so a competing model certainly sounds plausible. If so, we hope it can integrate all the control methods and features seen in the patents.